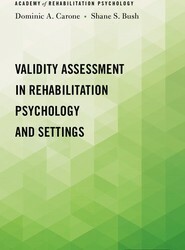 This is the first book devoted to the topic of validity assessment in rehabilitation contexts and is written by two board certified psychologists with extensive experience in clinical neuropsychology and rehabilitation psychology. Motivational Perspectives on Chronic Pain summarizes contemporary motivational conceptions of chronic pain and presents readers with an up-to-date compendium of cutting-edge research and clinical application. 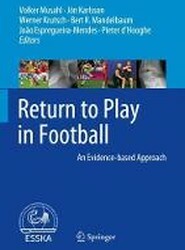 This volume highlights the integrative power of models of goal-guided self-regulation as viewed across multiple analytic levels, including the neural, the behavioral, the affective, and the interpersonal. 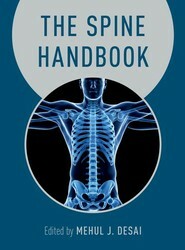 The Spine Handbook provides a thorough overview of the entire spine and interdisciplinary treatment of common spinal conditions. Sections build from the foundations of history and examination, radiological imaging, and behavioral assessment through the core topics of both interventional and surgical options, as well as exploring emerging and special conditions, and neuromodulation. This comprehensive handbook provides the fundamental diagnostic and therapeutic information needed to effectively deliver 'best practice' care for spinal disorders, making it a must-read for physicians of any training level that may encounter or treat spinal disorders. This book offers detailed guidance on the use of collagenase, or enzymatic fasciotomy, as a nonsurgical treatment for Dupuytren's contracture and explains its role in relation to the other forms of treatment, including open fasciectomy, needle aponeurotomy, and lipofilling.